Back in 2000, there was an unlikely winner of the Eurovision Song Contest. Even as The Olsen Brothers started Fly on the Wings of Love, the ears of Europe were still looking for a winning song, with half an eye on Estonia. And then the key change hit, the audience in Stockholm’s Globe Arena went wild, and we booked our tickets to Denmark. There was something cuddly and ‘traditional’ to The Olsen Brothers, and that’s true now in the album, released during the 2010 Eurovision Song Contest in Denmark and then across Europe in the weeks after. It takes a bundle of memorable Eurovision songs (not always the winners) and mashes them up to such a degree that there’s more of The Olsen Brothers in these songs than the original artists. Which is what you need on a covers album nowadays. As well as the obligatory reworking of their 2000 winning song, the choices in Wings of Eurovision go from the obvious (Love Shine a Light and Congratulations) to some songs that have I suspect have a more personal appeal to Jorgen and Noller and are perhaps a surprise mix in the package – such as the opening Bang-a-Boomerang, which is either an Abba song, a failed national Final entrant to the 1975 Eurovision, or the successful number one hit of Svenne and Lotta. No matter if you’ve had a track on loop in your Eurovision playlist, or you’re scurrying to the liner notes to find out just what this track has to do with the Song Contest, each one of them as been transformed into something that is clearly an Olsen song. It’s one of the great thing about music that the same words and tune can be arranged in so many different ways, to be be enjoyed over and over again, and every artist can bring out something special in a good song. All these songs are good, and the boys have made them their own, without destroying the beauty of the originals. They are a bit of an acquired taste, but like fine wines, they’ve matured with age and become even better… and the same is true for the songs! Wings of Eurovision, by The Olsen Brothers, published by My Way Music and is available via Amazon. 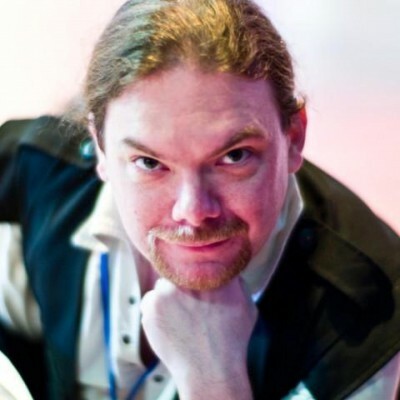 British Academy (BAFTA) nominated broadcaster and writer Ewan Spence is the voice behind The Unofficial Eurovision Song Contest Podcast and one of the driving forces behind ESC Insight. Having had an online presence since 1994, he is a noted commentator around the intersection of the media, internet, technology, mobility and how it affects us all. Based in Edinburgh, Scotland, his work has appeared on the BBC, The Stage, STV, and The Times. You can follow Ewan on Twitter (@ewan) and Facebook (facebook.com/ewanspence). ESC Insight's Patreon page is now live; click here to see what it's all about, and how you can get involved and directly support our coverage of your Eurovision Song Contest. ESC Insight takes a closer look at the Eurovision Song Contest. Away from the daily news and happenings, the Song Contest means so much more than the single Saturday night show in May. Follow the podcast via RSS. Find the podcast in iTunes.